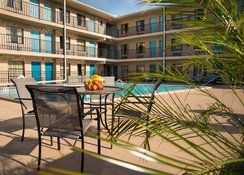 The Seasons Florida Resort is located in the resort of Kissimmee and provides convenient accommodation from which you can get to all the main sights in Orlando. Walt Disney World, Universal Studios and SeaWorld are all accessible from this resort and there is an abundance of on-site amenities and entertainment to make your stay a comfortable and exciting one. This includes an outdoor pool, watersports less than a mile away, plus evening dinner shows. The rooms at the Seasons Florida Resort can sleep up to four people and come with Wi-Fi and a flat screen TV. 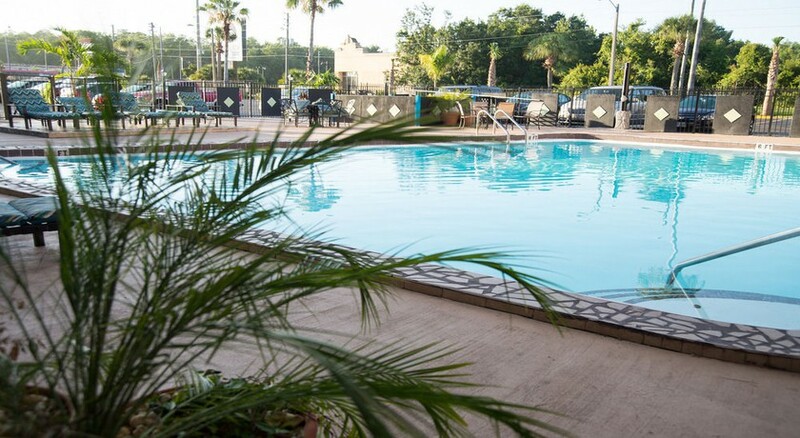 This is a family owned hotel and is suited to couples and families with children who want a cost effective option that also provides good access to the theme parks and other attractions in Orlando. The Seasons Florida Resort is in Kissimmee which is just to the south of Orlando and is close to some great local attractions such as mini golf and outlet stores. Walt Disney World is 9.2 miles from the property while Universal Studios (10 miles), SeaWorld (5.6 miles) and Epcot (6 miles) are all within reaching distance and there is a shuttle service from the hotel. Orlando International Airport is 10 miles away and the nearest golf course – Falcon’s Fire – is 4 miles away. You have the option of two different room types at the Seasons Florida Resort. Standard Queen Rooms have two large double beds and can sleep up to four people while the Executive King Room option can accommodate two people with one extra-large double bed. 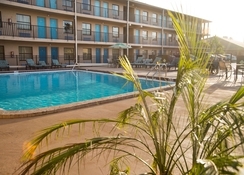 All rooms have a flat screen TV as well as free Wi-Fi. Capone’s Dinner and Show offer guests a buffet styled 1920s American theme and there is also a complimentary breakfast buffet provided. Guests can avail of a range of chain eateries in the nearby area including a Waffle House, Wendy’s and Applebee’s while there is a Mexican restaurant within walking distance. 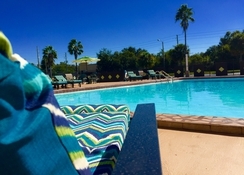 Seasons Florida Resort has a heated outdoor pool and there are opportunities for water sports just 500 yards away at Lake Cecile. Golfers can head to Falcon’s Fire Golf Course for 18-holes which is just 4 miles away and Kissimmee Value Outlet Shops, 192 Flea Market and Prime Outlets Orlando aren’t far away either for anyone who likes a bargain.